How Should An Effective Twitter Profile Look Like? | Best Marketing Techniques - Discover The Best! How Should An Effective Twitter Profile Look Like? Whenever people ask me about the top social networking sites that I am using for the promotion of my blog, I never forget to mention Twitter. The reason is simple enough; Twitter is the world of breaking news. Any major news, related to any topic, first gets published on Twitter and the most famous example is of Osama Bin Laden’s Death. Twitter is a place from where you can direct people to your blog, website, LinkedIn profile or Facebook page. There are thousands of brands and celebrities on Twitter who are effectively using Twitter to maintain communication with millions of fans all around the world. The focus of this article is on creating an effective Twitter profile which can drive targeted and useful traffic, first to your Twitter and then to your blog or website. 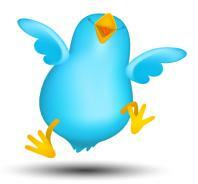 If you are reading this article then you might know that Twitter is free to register at. You can register as many accounts as you want to but every time with a unique email. You can register a number of accounts by using variations of your own or your business name. You should not forget that Twitter allows a limited amount of characters for the name and unfortunately I had to face this issue. I kept the name of my twitter profile as Best Marketing Blog instead of Best Marketing Techniques but you can see that I still managed to make the new name as interesting and effective as the name of my blog. Select a professional picture of yourself or your business to use across all of your social media profiles. This technique would allow you to create a brand out of yourself or your business which would be used by people in recognizing you. Double check your Twitter profile name for spelling and SEO purposes. You definitely want people to find you over Google or Twitter so make sure that your name is correctly spelled and optimized. If you are going to put www.google.com in the space provided by Twitter for a URL then it is better to leave it empty because Google doesn’t need such favour and it is not going to benefit you in any case. If you have a website, blog or a Facebook page, you can make the best use of the space. I would suggest leaving out the WWW particularly if the URL is a long one because the space is limited. You will need to describe yourself or your blog in a very refined manner by making use of the 160 characters provided by Twitter for bio. Use the most important aspects about yourself or your blog to describe who you are or what your blog is. There is an image below where you can see the bio of my blog and how it reflects the objective. The design feature of Twitter is my most favourite. You can choose a unique design for your profile just like your profile picture. This shows that you are someone worth following. Don’t be lazy by selecting the existing designs because for most of the people on Twitter, such profiles are computer generated. So this is how your Twitter profile should look like. Now you can start connecting with people by following them and allowing them to follow you. 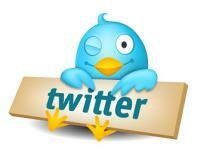 Do not forget that Twitter is the most famous online newspaper and the exchange of information is very important. Keep on tweeting some useful and interesting information. 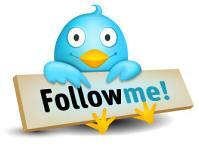 On Twitter and Get Interesting Tweets about Internet Marketing and SEO. This entry was posted on Wednesday, November 2nd, 2011 at 9:54 pm and is filed under Internet Marketing, Social Media Marketing, Twitter. You can follow any responses to this entry through the RSS 2.0 feed. Both comments and pings are currently closed. 7 Responses to How Should An Effective Twitter Profile Look Like? This is really nice tip and an effective one to make your twitter profile an impressive one. Thanks and keep sharing this with us.